I have been on the phone 3 times and have communicated with TurboTax support on twitter. Phone help PROMISED me my problem would be solved within 24-48 hours and that was 4 days ago! Only my initial REJECTED BY IRS return can be downloaded, which is completely USELESS!! The return that I fixed and was later ACCEPTED by the IRS is NOT there-only the rejected one is! This is the last day for taxes so I am screwed (and frustrated)! I NEED to print the voucher to send to the state of California with my payment-but the WRONG VOUCHER keeps downloading along with the original worthless rejected return! As a customer don't I have the RIGHT to download and print a copy a my tax return??????? I'd like to see if we can get to the bottom of this. When you're trying to download your return, are you following this process? Sign in to your account (if you haven't already done so), using the same login you used to file your return. If you can't remember, go here so we can help you get logged in. Once you're logged in, go to the bottom of the screen and click My Tax Returns and Documents. On the next screen, click Download my return. Once your return has downloaded, locate the PDF and open it. If you see a printer icon at the top of the screen, click that; or if you have a File menu in the upper left corner, open that and select Print. Make any adjustments in the Print window, such as number of copies, and then click the Print button at the bottom. Click OK,and then click the Print button again. When you print the "hard copy" of the return you filed, it'll include extra documentation and calculation worksheets for your files. However, it won't include W-2, 1099, or any other forms from your employer, bank, brokerage (etc.) because TurboTax didn't generate those forms. Contact the party who originally issued those forms if you need those. I don't think you understand the problem. I can log in just fine. When I go to "Download/Print return (PDF)" for 2017, the REJECTED version downloads, but I need the ACCEPTED version. Understand? If it is not printing the updates, the Print Center has the most current version of the return. After you make changes to your tax return, the "Download/print pdf" on your Tax Home page does not update right away. Printing directly from the Print Center will give you the most up-to-date copy of your return including any changes you have made. You can also select to download or view all forms and worksheets, so you have a pdf copy of your full return. If your return is still active, you can click on Tax Tools on the left, and then Print Center. 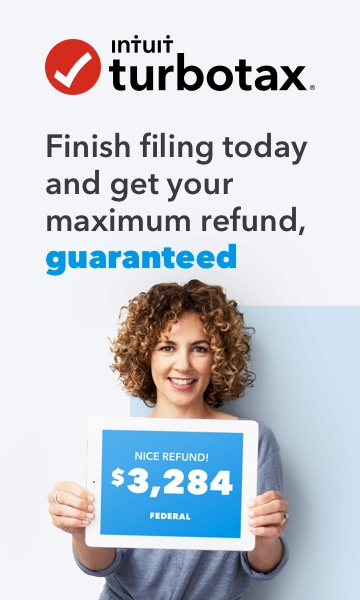 If your return thinks you have already filed, this TurboTax FAQ has directions to open the Print Center. Under Your tax returns & documents, select Amend (change) return. Don't worry – you're not really amending. This is just a backdoor way to get to the Tax Tools menu in step 3. Select Amend using TurboTax Online. In the left hand-menu, select Tax Tools. Then, Print, save or preview this year’s return. Now check the 2017 federal returns box and choose which forms to print out. Select View or print forms, then go ahead and print. This is pretty solid advice, but doesn't clicking 'Amend' create a 1040X for the customer? Wouldn't clicking "Add a State" be a better option? Can't find return from 2017, need a copy. How do I download & print a copy?